Hi guys! Hope you all had a great weekend. This post will be quick because I should be packing for the beach but some reason felt the need to post about the final Angry Men Canvases. I showed this picture to LadyBug and she wanted to do the exact same theme and pretty much took over the project. 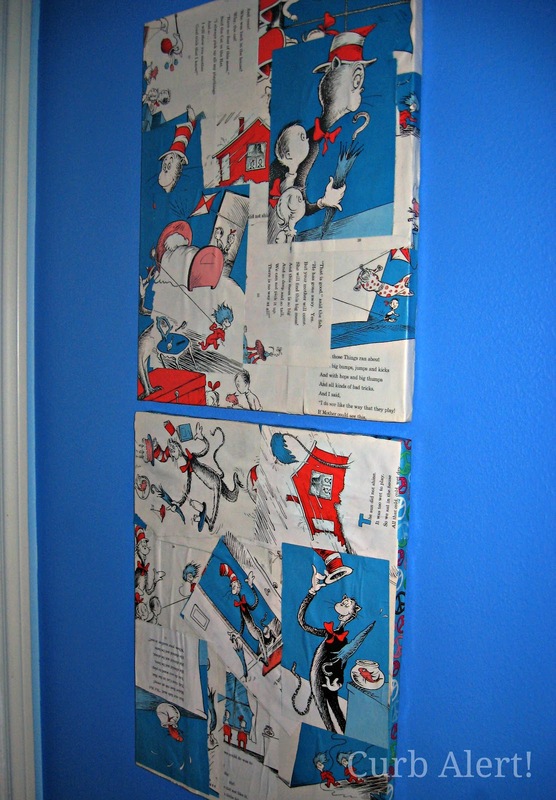 So with that idea, some Dr. Seuss books and some Mod Podge, she was able to replicate an awesome little piece of art! 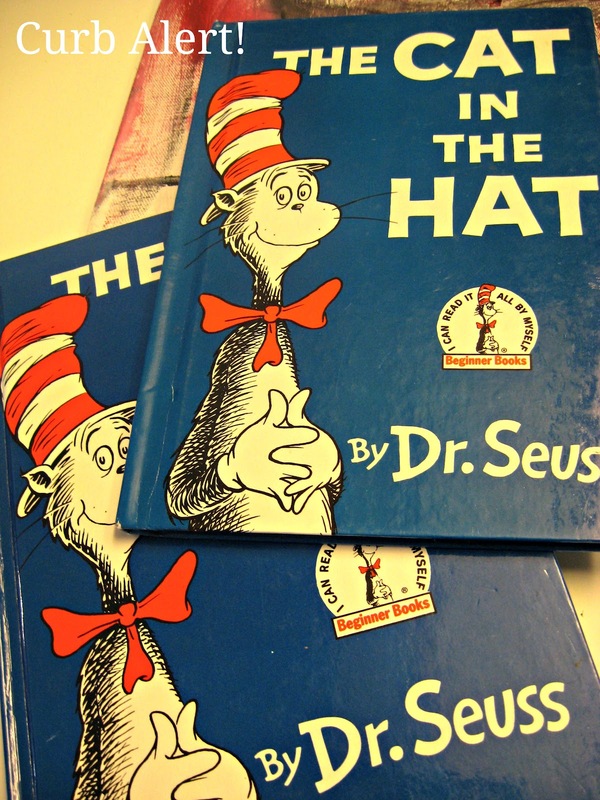 Yes she did tear out the pages of the Cat in the Hat book but luckily we had two copies so were were at least able to keep one in tact! I think she did a great job and look how cute they look against her bright neon crazy blue blue walls! Now off to catch some sunshine and waves with the ones I love. These are fabulous. Your little ladybug did a fantastic job, I hope she is proud of herself. cute, did a great job, love it!! What an awesome idea! You really have done a wonderful job with these pieces!